A little over 4 years ago, a group of us were visiting the Wilsonart factory to learn about their products and operations. We were curious about the different characteristics of high pressure laminate versus the backer board. It turns out there are two primary differences: 1) unlike high pressure laminate, the backer is not intended to be decorative and 2) the backer sheets are finished using phenolic resin instead of melamine. We were struck that the backer was not elevated as a decorative finish! We believed the matte finish and soft touch would speak to clients seeking a unique design aesthetic featuring natural and neutral pallets. Additionally, the durable finish is achieved by using phenolic resin, a byproduct of refining gasoline. 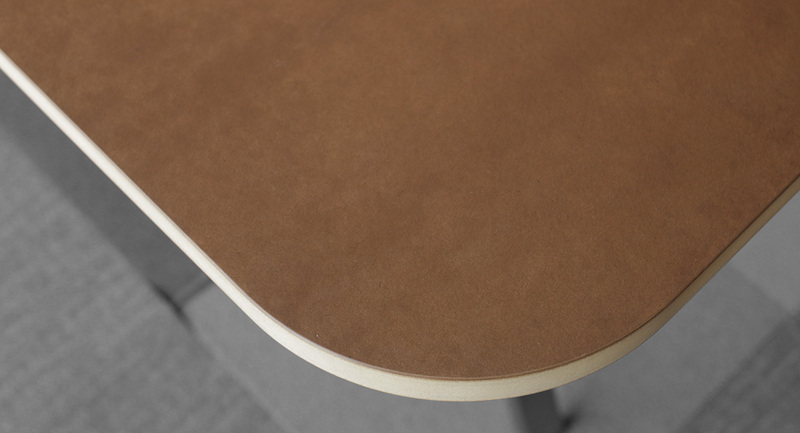 This alternate finish replaces melamine which is conventionally used for its visual clarity. We fell in love with the backer board and decided to use it to finish the centerpiece of our Seattle Design Studio. 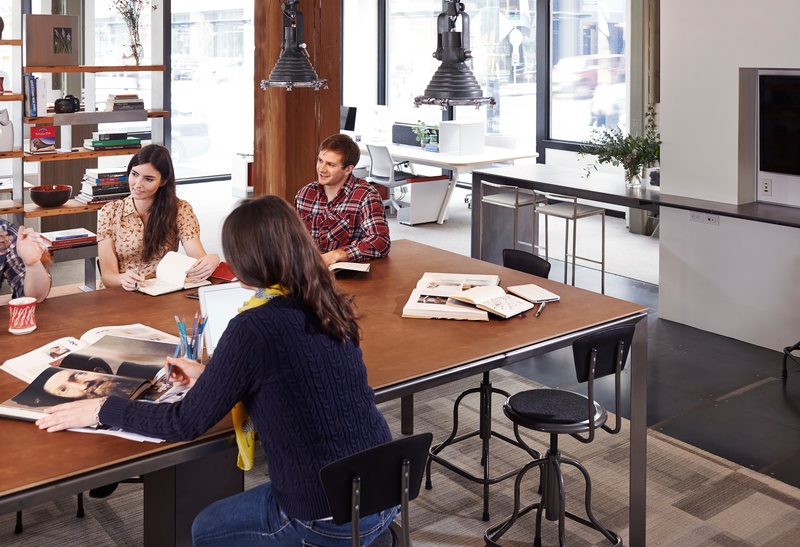 Our customers responded so positively that we integrated it into our standard surface offering. 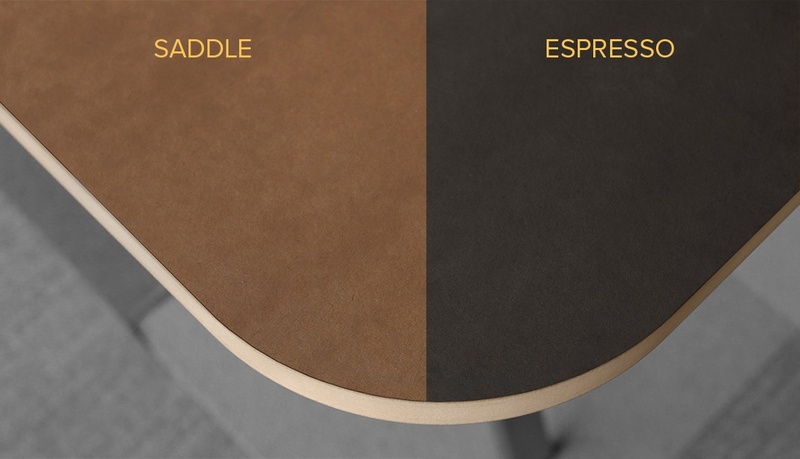 You can now specify Craft Surfacing in Saddle or Espresso on any Watson desk, bench, meeting or conference table.